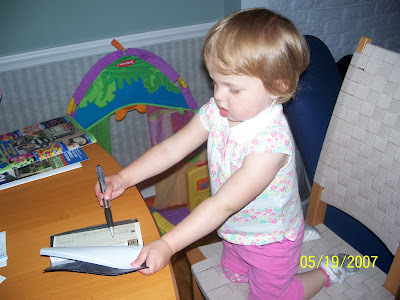 Should I be worried about child labor laws? The title of Carrie's post yesterday had me thinking of a few things that we've had Zoe do. 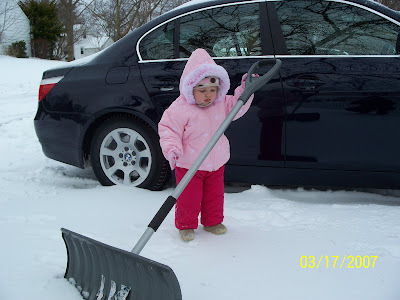 Maybe I should be researching those child labor laws? It all started earlier this year. Somebody had to do some shoveling. 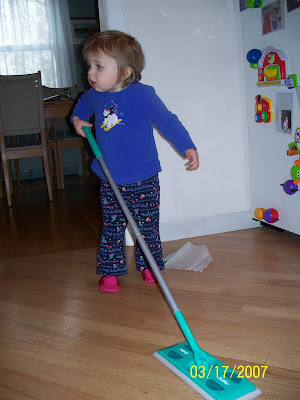 And... on that very same day... the floor needed to be mopped. A lot of you know how our bathroom remodel went. 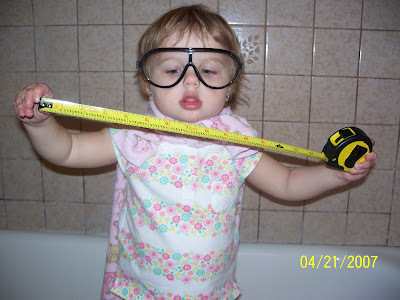 (If you don't... please feel free to start reading here or here ... yikes, there are 37 posts labeled "bathroom remodel"!) It went much more smoothly with Zoe doing the work. Then we got tired of balancing that checkbook... and I wasn't paying those plumbers. 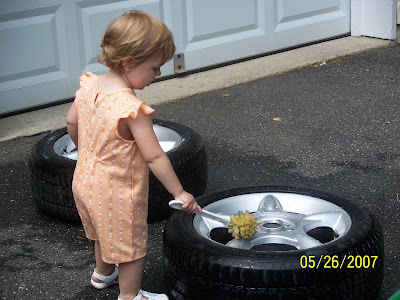 We can't forget the day that Daddy needed his wheels cleaned. 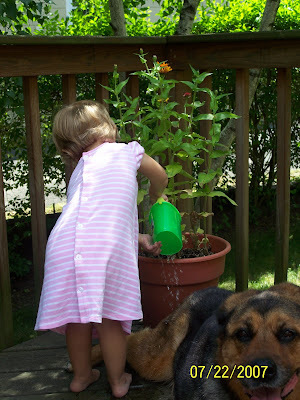 And then, I'm just not good at watering the plants. Washing windows? Not me. Somebody has to do it though. 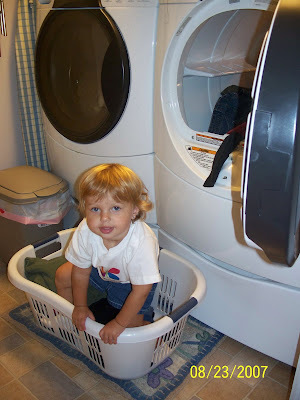 The majority of the time I do the laundry. But sometimes... I just get sick of folding it. 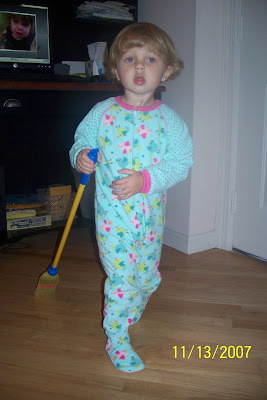 The most recent housework Zoe has done... sweeping. Those dust bunnies won't chase themselves out from under the furniture. So Carrie... you may think you're up for Mother of the Week... but I think I might have Mother of the Year in the bag.